Watches have been essential to U.S. presidents’ work and wardrobes since the nation’s beginnings. The president of the United States lives under a microscope; every detail of the commander-in-chief’s life is examined and scrutinized, right down to what instrument the president chooses to tell the time. While a small piece of the presidential wardrobe, watches are selected by their owners carefully, and through observation and study, historians and horologists have been offered a glimpse into the lives of our nation’s leaders through their timepieces. U.S. presidents each have had and used a number of watches, most of them gifts from family, friends, colleagues, admirers and watchmakers. Dwight Eisenhower, for example, had enough watches “to open a small shop,” reported a Swiss watch and jewelry journal in 1956. Other presidents, including Thomas Jefferson, James Monroe, Harry Truman and Bill Clinton, have been avid timepiece enthusiasts. Watches have been essential to U.S. presidents’ work and wardrobe since the Republic began. They’ve kept them on schedule, been personal keepsakes and even had their own moments of fame. They’ve ranged from gold watches to plastic-encased ones, from renowned to obscure brands, and many were worn during defining moments in U.S. history. As the first president of the United States, George Washington was a devotee of punctuality. He owned several pocket watches—one of which he went to great lengths to obtain. In 1789, Washington asked friend and fellow Founding Father Gouverneur Morris (author of the preamble of the Constitution), then in Paris, to purchase a watch for him. After Morris alleged that the first few watchmakers from whom he tried to obtain watches were crooks, he finally purchased a timepiece from great watchmaking innovator Jean-Antoine Lépine, clockmaker to French King Louis XVI. Thomas Jefferson, who was just leaving Paris, brought the watch back to Washington when he returned from France in 1789 to be secretary of state. Timepieces seemed to be deeply symbolic in nature to Washington, who also gifted a pocket watch to 18th-century Creek tribe leader Alexander McGillivray to convince him to sign the 1790 Treaty of New York. Although a crucial function, keeping time wasn’t the only role watches played for presidents throughout the years. Many were personal mementoes: Jefferson had a pocket watch containing his late wife’s name, dates of birth and death, and a lock of her hair. 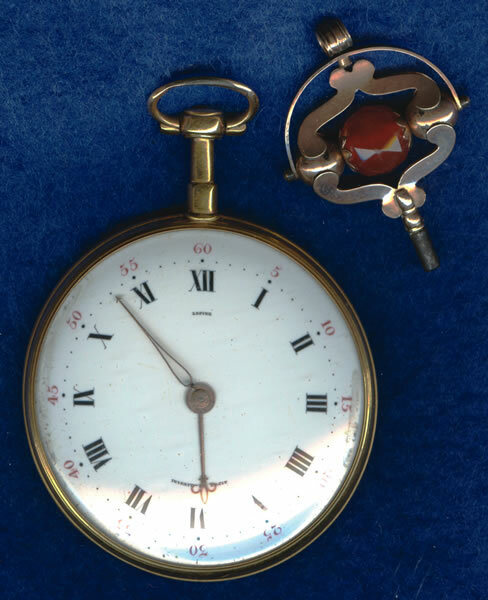 Rutherford B. Hayes’ gold pocket watch, a gift from his mother-in-law, had an image of his wife inside, while Eisenhower had a wristwatch customized with his grandchildren’s photos on the dial. Ronald Reagan’s watch was resized after he died, so that his wife Nancy could wear it. 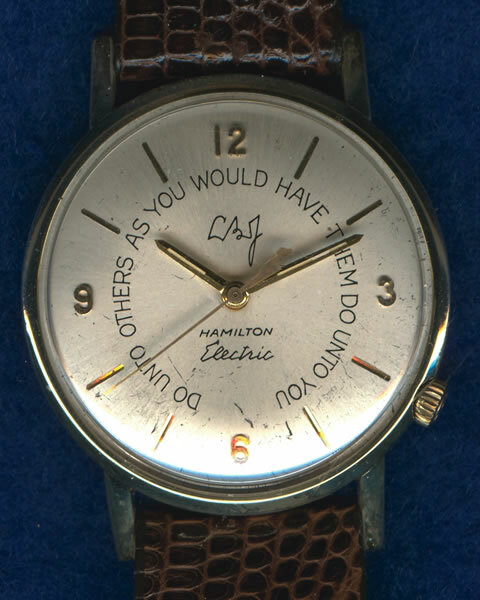 Lyndon B. Johnson gave away many watches customized with the golden rule. Lyndon B. Johnson not only owned several brands of watches, he enjoyed giving specially customized ones (which he kept in a desk drawer in the Oval Office) to aides, friends and visitors. Many had the golden rule (“Do unto others as you would have them do unto you”) inscribed on the dial, and/or his signature. Some watches were linked to scandal. One famous Rolex reportedly given to John F. Kennedy has gone down in history books, the bestower being none other than Marilyn Monroe. “Jack, With love as always from Marilyn May 29th 1962” is emblazoned on the back of the gold timepiece, which also featured an ornate design on its case with two doves as the focus. The 18-karat gold watch was a gift from Monroe to Kennedy on his birthday, and he allegedly told the aide who presented it to him, “Get rid of it.” Some aficionados, however, claim the watch’s serial number is from a 1965 series, three years after Monroe’s death. As with the infamous Monroe-gifted timepiece, an inscription on a watch can beget an endless line of questions, about which horologists can only speculate. 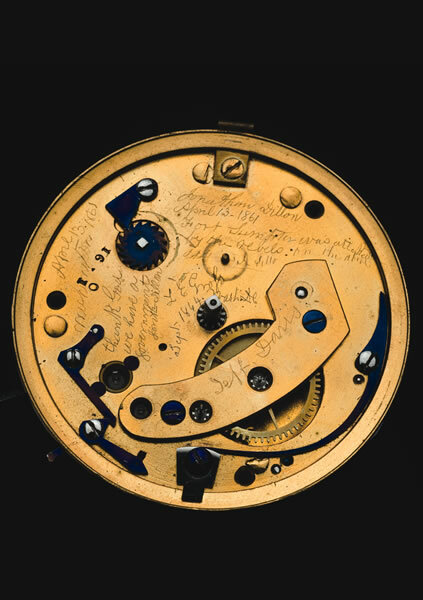 A pocket watch formerly belonging to Abraham Lincoln was disassembled at the Smithsonian, revealing a patriotic inscription from 1861 scratched onto the mechanical movement, under the dial, from a Union-loyal watchmaker. Another watchmaker later scratched “Jeff Davis” (president of the Confederacy) elsewhere on it. Both were hidden—even to Lincoln—until the watch was opened almost 150 years later. 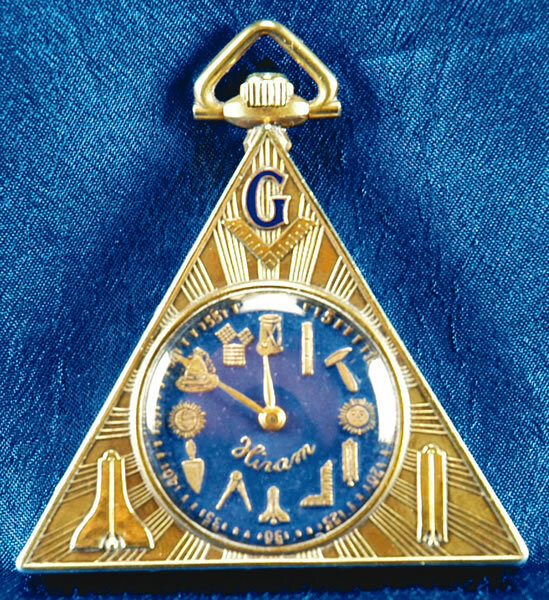 Mystery also shrouds Warren G. Harding’s triangular gold pocket watch, which is decorated with Freemason imagery on the front, back and sides, and Masonic symbols instead of numbers on the blue dial. While two Swiss luxury brands—Rolex and Vulcain—have ridden most presidential wrists since the mid-20th century, in efforts to appeal to the everyman as well as simple personal preference, many presidents have donned casual and sporty models as well. Eisenhower played a role in solidifying Rolex’s place in the presidential wardrobe, when he received an 18-karat gold Rolex Datejust, the brand’s 150,000th wristwatch, as a gift from Rolex when he became supreme allied commander of NATO in December 1950. He wore it both during his presidency and afterward. Since Eisenhower, many presidents have worn Rolexes, the Day-Date model being popular in particular—so popular that the model is now nicknamed The President. In 2009, Vulcain—continuing the tradition and marking its 150th anniversary—sent a limited edition Vulcain Cricket Anniversary Heart wristwatch to the White House, inscribed with President Barack Obama’s name and the date he was elected. In a thank you note, the president said he was pleased with this newest presidential timepiece. An exception to the two brand-dominated arena, Franklin D. Roosevelt used a Tiffany & Co. wristwatch he received from five White House reporters, inscribed to “Franklin Delano Roosevelt with loyalty, respect and affection.” He wore it at the February 1945 Yalta Conference dealing with World War II’s end and aftermath, and reportedly when he died in April 1945. John F. Kennedy also enjoyed wearing watches from other watchmakers; his ultra-thin Omega (gifted by friend Grant Stockdale, inscribed in 1960—before his election—with “President of the United States John F. Kennedy from his friend Grant”) was around his wrist at his 1961 inauguration. Another one of his favorites was a Cartier Tank watch from wife, Jacqueline, which he reportedly wore Nov. 22, 1963, when he was assassinated in Dallas. 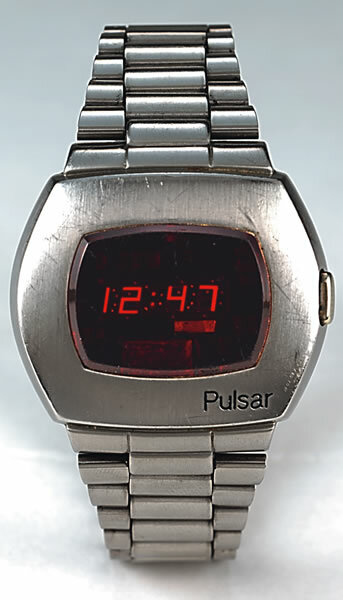 Digital watches didn’t make their way into the White House until 1974, when Gerald Ford became the first U.S. president to wear one during his term (the watch was a Hamilton Pulsar, the first such commercial watch). He wore the pricey timepiece—a gift from a friend while Ford was vice president—so often publicly that The Washington Post wrote about it. Watch retailers began displaying enlarged photos of the president wearing it. Due to the media focus, and not wanting to seem to favor any brand, he stopped wearing it publicly. More recently, Bill Clinton (who wore a Timex piece as governor of Arkansas and then into his presidency) famously favored a digital, plastic-banded Timex Ironman watch when he entered office, drawing much attention—both praise and criticism—for his choice’s affordability and casual appearance. He later donated the famous wristwatch to the Smithsonian. Current President Obama has been seen wearing a few different watches consistently, one of them digital: The sporty Highgear Enduro Compass has been spotted on the president while on vacation or at very casual events. While on duty, however, Obama has favored a TAG Heuer 1500 model that he wore as a law professor, a U.S. senator and now in the White House, for notable occasions such as addressing Congress on healthcare reform and when he accepted the Nobel Peace Prize. On his 46th birthday in 2007, Obama, then on his first presidential campaign, received a Jorg Gray 6500 from his Secret Service agents. The watch bears a Secret Service logo on the dial, and the model was among those produced for sale only to Secret Service employees. 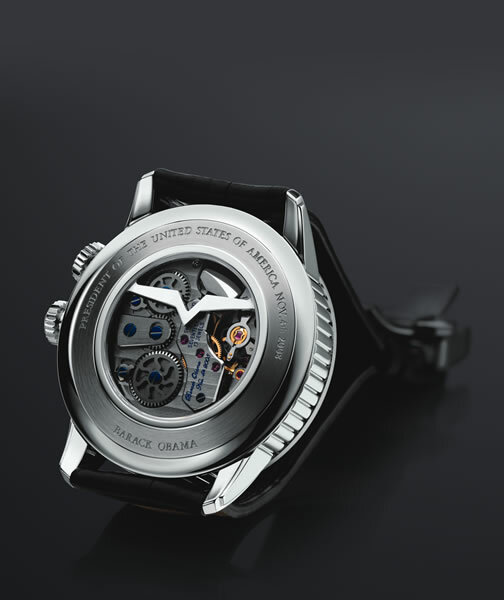 The president began wearing his publicly so often that in 2009, the watchmaker made a version without the Secret Service logo for sale to the general public; sales topped $1 million in only 18 months. Freemason imagery adorns this pocket watch belonging to Warren G. Harding. Sea Island has been a part of presidential tradition ever since Calvin Coolidge visited Sea Island Co. founder Howard Coffin in December 1928. In the decades since, many other presidents followed, including Dwight Eisenhower, both George H.W. Bush and George W. Bush, Gerald Ford, Jimmy Carter and Bill Clinton. Some made Sea Island the stage for momentous decisions. Carter brought his cabinet to the resort in late 1976. In 2004, George W. Bush chose Sea Island as the site for the G-8 Summit. George H.W. Bush has visited many times, starting with his honeymoon in January 1945 with his wife, Barbara. In 1995, they celebrated their 50th anniversary at Sea Island and, in 2001, he came to open the 38th Walker Cup golf matches. Another Sea Island presidential tradition also started with Coolidge: the planting of a live oak tree (Georgia’s state tree). Eisenhower visited Sea Island with his wife, Mamie, in 1946. A live oak was planted in honor of the visit after he was elected president. Ford planted one in 1979 (after he had left the presidency) when he visited as an honored guest for a golf tournament. Jimmy Carter planted a double-trunk oak tree on a visit with his wife, Roslaynn, in July 1981, and both George H.W. Bush and George W. Bush planted commemorative oak trees on Sea Island during their presidencies. Former President Bill Clinton in August 2012 became the seventh to continue the presidential tradition of planting an oak tree at Sea Island.